I took a quick trip to Truckee again. 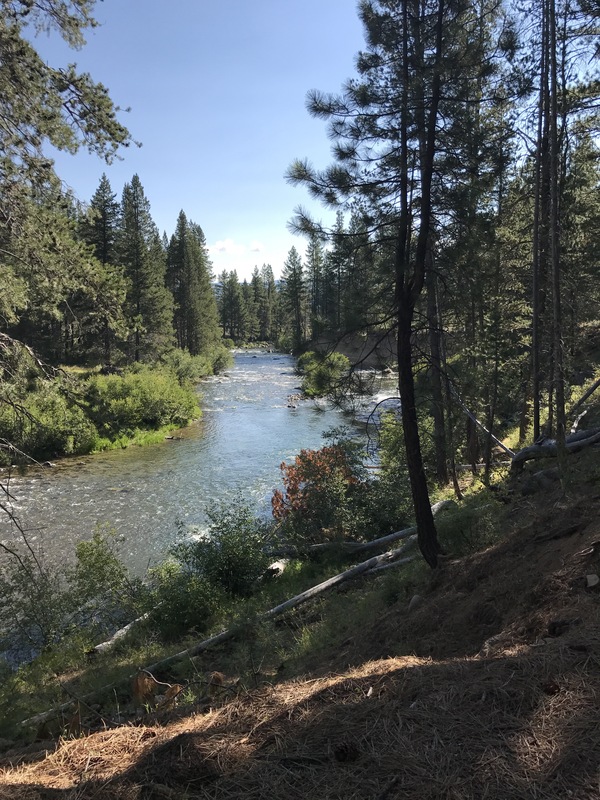 This has been the theme of the summer, back and forth to Truckee, but this time I didn’t feel compelled to go and check on the place where we spread my late husband’s ashes. Instead, I hiked the Truckee River with my friend Susan and talked about the future. It’s interesting that I’m not the only one in transition and facing an unforeseen future. Yes, we all have plans, but not like we once had when we thought; settle down, buy a house, have a baby, and save for the future. Well, the future is now. Having the road ahead open to so many possibilities is in itself stressful, but the flip side is the excitement of not knowing what comes next. I’ve reflected a lot on my life as a wife and mother and all that entailed. I will always be a mother, of course, however, now I am often alone with my books and notes, which I entirely love. I missed my own company during the busy and hectic days of raising a young family.